Georgia Republican Rep. Jody Hice was reportedly removed from the House Armed Services Committee for voting against Rep. Kevin McCarthy for minority leader, The Daily Caller News Foundation has learned. Hice, who served on the committee since 2018 and is serving his third term in Congress, was removed from the committee after he decided to back Ohio Republican Rep. Jim Jordan for House minority leader. McCarthy received 159 votes, compared to Jordan’s 43 votes, making him the minority leader of the House in a Dec. 14 vote. However, a source familiar with House Minority Leader Kevin McCarthy’s office denied the information, saying it is “inaccurate” and that the steering committee made the decision. Ohio Republican Rep. Jim Jordan told TheDCNF in a Thursday phone call that the news regarding Hice’s departure from the committee is accurate, adding it is a loss for the committee. “Jody Hice is a good man. And you know you shouldn’t be punished for voting with your constituents and voting your conscience. And I’m glad Jody Hice is a member of the committee I get to serve on, which is the Oversight Committee,” Jordan said. North Carolina Republican Rep. Mark Meadows praised Hice and told TheDCNF that he believes this harms the party. “You’d be hard pressed to find any members in Congress who vote their conscience and listen to their constituents more than Jody Hice. His priorities are in the right place. For our conference to preach a message of ‘unity’ in one breath and then retaliate against a member for their vote in another is wrong. Period,” Meadows said. “We’ve seen this in that past with Speaker John Boehner. I know for a fact he spent more time attacking Republicans than he did Barack Obama and Hillary. Here we have the left on the rise, and Kevin McCarthy is spending more time attacking conservatives rather than defending the President of the United States and taking on Nancy Pelosi. 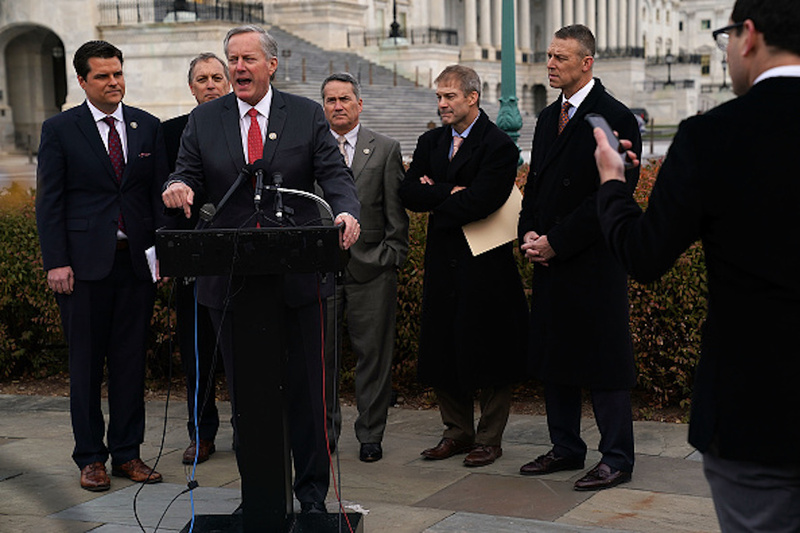 That is a recipe for a permanent minority for Republicans in the House,” Tim Huelskamp, President and CEO of The Heartland Institute told TheDCNF. Ginni Thomas, a conservative leader, also blasted McCarthy for his leadership decision, saying he is dividing House Republicans at a time when they need unity most. 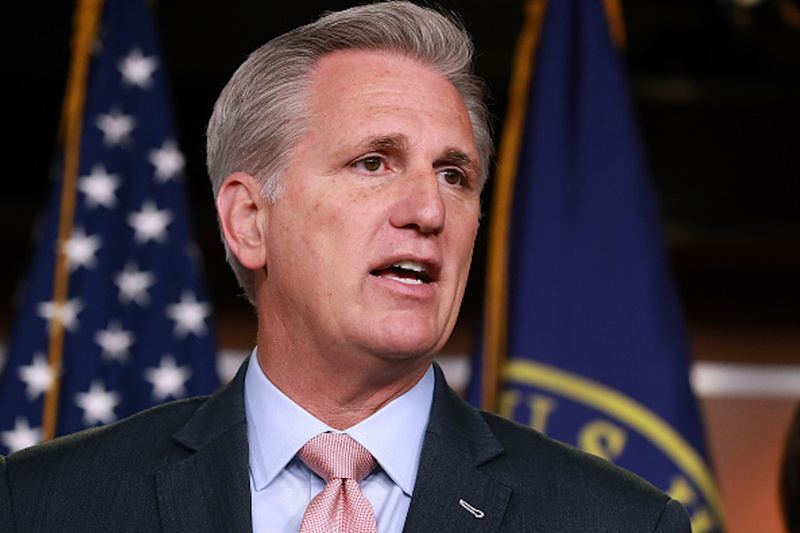 “Kevin McCarthy should be more worried about merit-based committee assignments for the coming battles by the blood-thirsty Democrat partisans, but instead he is showing us his petty, vengeful, divisive leanings. Instead of a game of chess, the Minority Leader must think he is starring in the ‘Game of Thrones.’ He belittles his stature by such petty personal vendettas,” Thomas said to TheDCNF.